Unleash a stampede of horses and run wild over your competition with engine and performance parts from Summit Racing! 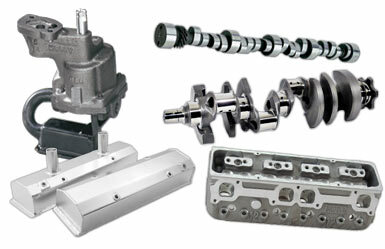 We’ve got everything you need to power your way to the winner’s circle—engine blocks and assemblies, cylinder heads, camshafts and valvetrain components, ignitions, oiling system parts, air and fuel system components, fittings, hardware, gaskets, and more! Go on a shopping spree for speed, power, and performance and choose from hundreds of the top brands in circle track racing—shop now!